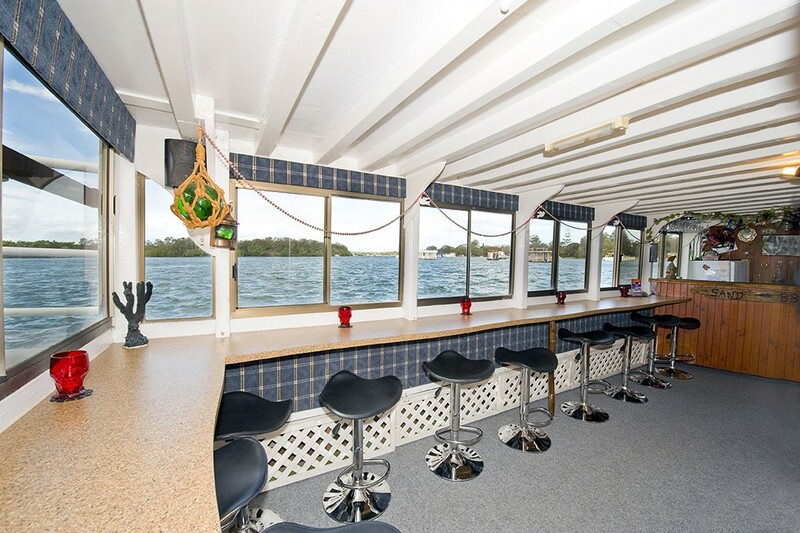 Our sunset river cruise is the best value cruise on the Sunshine Coast. Currently we are offering this cruise at only $10 per person. WE DO NOT TAKE BOOKINGS FOR THIS CRUISE. Round off your perfect day in Noosa with a Sunset Cruise along the Noosa River. We wind our way from Noosa Marina, past Richard Branson’s Makepeace Island and the North Shore ferry crossing to the stunning Lake Cooroibah. Here, we wait for one of those beautiful sunsets whilst sipping a glass of wine or a cold beer from our fully licensed bar. We also take bookings for Private Sunset Cruises (Monday – Thursday only) Bring on up to 65 guests for a Private Sunset Cruise for only $400. You can choose a cruise to Lake Cooroibah or to Noosa Heads, departing at a time that suits you.